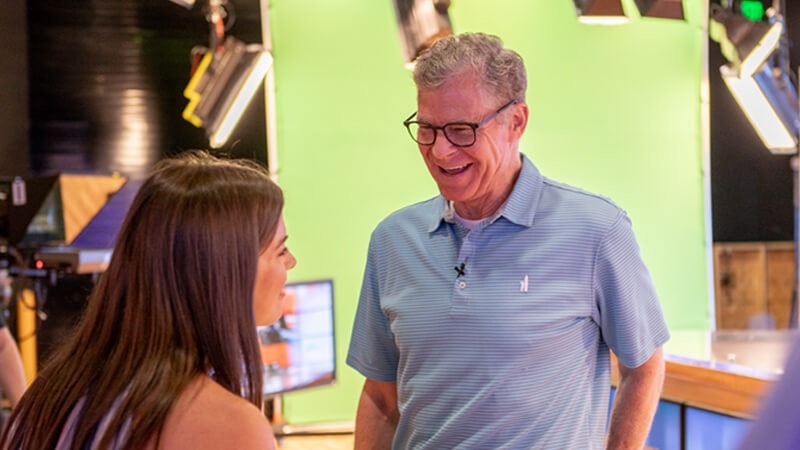 Full Sail University recently hosted ESPN SportsCenter anchor Jay Harris on campus for a discussion with Dan Patrick School of Sportscasting students about the sportscasting industry. Jay Harris has over 25 years of experience combined in radio and television news, but is most notably known for his contributions on SportsCenter, Outside the Lines, NFL Live, Baseball Tonight, and other ESPN programs. 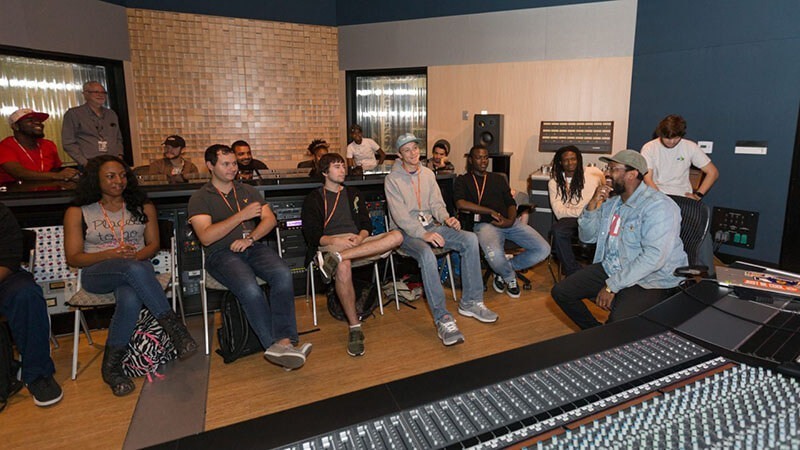 He shared insight from his career with a group of students, who learned about his journey in the industry and asked for advice about finding their own unique voice. The importance of figuring out who you are will help build your foundation, and without a strong foundation everything falls apart, says Harris. In his case, seeking mentors is what helped him navigate through his career. Those mentors taught him that at the base of his foundation he is a good storyteller, and he needed to own it. Harris shared that two of his most important mentors were Stephen A. Smith and Stuart Scott. He remembers being captivated by Smith’s booming voice on sports TV, and the consistency of his voice in every performance left a genuine impression on Harris. Harris also recalls Stuart Scott telling him to just "do you" and everything will be great. Authenticity is key in the industry, and audiences can pick up on who you put yourself out there to be. Ever since the 11th grade, Harris knew that he liked to write, talk, and tell stories. Although he knew what he liked doing, he lacked confidence in his voice to tell a story that people would actually be interested in hearing. Harris suggests to students that are struggling to find their voice that they not be afraid to “just do it” and put themselves out there. Once you’ve begun to make mistakes, have successes, and learn new experiences, your confidence in yourself can only grow stronger. He joked that he wishes he was able to come up with the mantra "just do it" before Nike did. “If you’re following your passion and doing what you want to do, then do it,” he said. Click here to watch Jay Harris’s full interview. Click here to learn more about the Dan Patrick School of Sportscasting at Full Sail University.